A statewide, non-profit, member-supported association which has provided information, legislation and resources to all of Virginia ‘s homeschooling families from a Biblical worldview. (VaHomeschoolers) was formerly known as Virginia Home Education Association (VHEA). VaHomeschoolers is your fully inclusive, member directed, and volunteer driven state association. VaHomeschoolers is neutral in matters of religion and partisan politics; homeschooling is our only agenda. 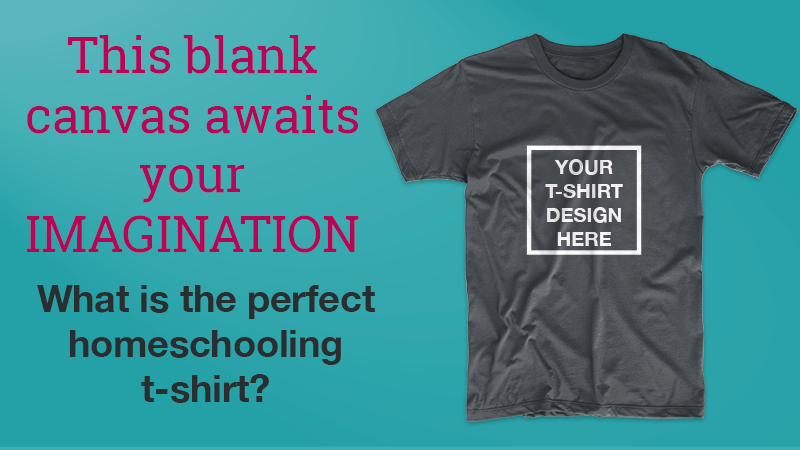 Contact VaHomeschoolers with your idea of the perfect homeschool t-shirt. One design will be chosen and sold at the 2018 VaHomeschoolers Conference and Resource Sale. Participant’s family must have a current membership with VaHomeschoolers. Shows by Virginia school district. The demographics are usually updated in the fall for the previous school year. Educational places to visit in Virginia. Boost your homeschooler’s learning through field trips. Browse these fun things to do with kids in Virginia and blend fun and education around the Old Dominion State! Online homeschooling in Virginia is one of the most popular methods for parents who chose a home education for their child. In Virginia, parents must ensure that a child attends school in compliance with the state compulsory attendance law as specified in 22.1-254 of the Code of Virginia when the child has reached his 5th birthday on or before September 30 of any school year and has not passed his 18th birthday. The Notice of Intent is due to your local Superintendent by August 15th. File an NOI each year by August 15th. Provide a description of the curriculum to be used (not as scary as it sounds). Provide proof that you qualify for the option you are filing under. You may print and fill out this form to provide notice that you are going to homeschool your children in Virginia. Here ‘s a printable copy of this form, updated for July 2012 and beyond, from HEAV. VaHomeschoolers has recently been fielding a large number of questions about changes to certain standardized tests Virginia homeschoolers use to provide their annual evidence of progress and would like to provide further information to help clear up some of the confusion. The Home Instruction Statute §22.1-254.1 requires parents to provide “evidence of progress” at the end of the school year. From VaHomeschoolers. There are things you can do now and throughout the year that will help you accumulate and organize the “evidence” that an evaluator needs at the end of the year to assess your child’s progress. The Virginia homeschool law allows several alternatives in the area of testing. The state law uses the word “assessment,” which permits a choice of the following options: privately-administered standardized achievement tests, independent evaluation, or portfolio. Review by HEAV. This is a group of homeschool families who want to encourage each other and share information, events, curriculum, fieldtrip ideas and also to be in service to Our Lord and Savior Jesus Christ. A support group for Northern Virginia homeschoolers who identify with the heathen label. We are pagans, atheists, agnostics, Unitarian Universalists, secularists, and humanists — some of us defy labels altogether. Members required to have a sense of humor. The blog is our way of giving you more of the great things that you love about VaHomeschoolers. Read interesting thoughts about homeschooling in Virginia and posts by favorite Voice authors. Receive timely legislative information and deadline reminders. Find out when new information has been added to the website and keep up-to-date on special VaHomeschoolers events and opportunities. Facebook page for announcements from the VaHomeschoolers, an inclusive unschooling association. Welcome to the REACH Facebook page for 2017-2018. This is for members for the current year. This page can be used for sharing info about upcoming events, sharing photos from a REACH event, a good website that you recommend, good food places, things to do, and more. Let’s keep it clean and respectful. Join our free email list for information on activities around the state, legislative information and other information valuable to homeschoolers. An inclusive group for families homeschooling in Virginia (or considering homeschooling!) Get your questions answered and connect with other homeschoolers in your area and around the state. This list is hosted by The Organization of Virginia Homeschoolers. This group is a place to ask for ideas and advice, share information and inspiration. It is a place where members show each other respect for differences of perspective and opinion. A group interested in High School level opportunities, curriculum, field trips etc. You must be homeschooling a HIGH School aged student or be in planning mode with a 13 year old getting ready to start high school to join this group. We’re planning to use this group page as an easier way to get unschoolers together for fun stuff here in Virginia. Please post any ideas you have. Law and Testing revised in 2017. A Comprehensive Guide to Home Education in Virginia. CD included. Published by HEAV, from a Christian perspective. The largest homeschool bookstore in Virginia, Moore Expressions currently operates out of a 3,000 square foot store front located at 6070 Indian River Road Suite 110, Virginia Beach, Virginia 23464. The commonwealth ‘s expectations for student learning and achievement in grades K-12 in English, mathematics, science, history/social science, technology, the fine arts, foreign language, health and physical education, and driver education.